I wrote this as a blog entry and as it came out as a good introduction for newcomers to the site and to Blender my friend Diana said I could put it somewhere permanently on the first page. I will try to explain what made me invest time in it and why do I think it is a good tool for building architectural visualisations, also what I think the drawbacks are. Blender is an open source project, it is free and can be used for personal and commercial purposes. There are ways to financially support the people and work behind it, by donating or buying DVDs and books – there are several useful titles on the Blender site. So the price is good, but as I had to replace Max I was looking not only at affordability but also at getting a really good replacement! So I looked around for commercial affordable alternatives and tried some demos but in spite of great promise these applications lacked the complexity I was used to. I really think Blender manages to do a lot more than many commercial software and can compete even the big expensive names. 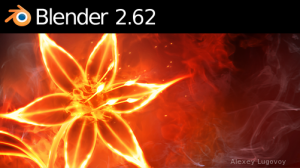 Many were scared off by the interface in versions up to 2.49. It looked less polished and was not user friendly. 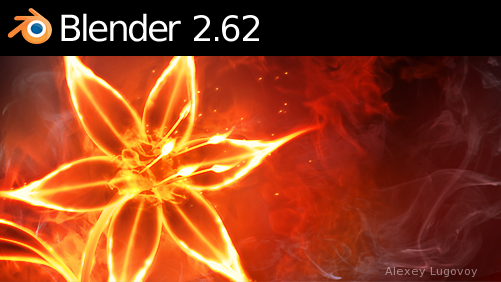 Starting with release 2.5, Blender has a shiny UI that looks as professional as anyone could wish and the improved functionality and work flow makes it friendlier to new and old users. It is still “something else” from the more popular commercial software and that makes newcomers confused about Blender capabilities. I wouldn’t suggest changing it (and any Blender fan would be outraged by such a suggestion) as it is a very good flexible interface. Can Blender import models from autocad? This seems to be the main concern architects have! Can it render photorealistic quality images by itself or through external renderers? Can it handle complex scenes without crashing or some disaster happening right before a deadline? Can I find a good work flow or will I be driven crazy by lack of features and weird UI ? Does it have precision tools for my architect precision mania? I found positive answers for all the above, only it took some time to get there. The information is not in one place, and not directly aimed at architectural visualization users. Once I got used to it I felt very at ease navigating the 3d space, I liked the object selection and manipulation methods, and found that it handles complex projects very well, even the beta releases were stable and usable enough. And yes, at first I was able to easily import 3ds format models made in cad software and the results were good but then I decided to model in Blender directly and it also went really well. I also have some complaints and hope that a future release or addon will improve layer management, texture mapping and disabling an object from casting shadows without having to workaround too much. There are some tools missing like a proper offset but the developers community is working on addons that will complement the latest release. All this said, main question remains: is Blender a good tool for architectural visualisation? And if so, can it be used by architects in need of a good affordable 3D work tool or just by visualisation professionals experienced in computer and software use? This software was not intended for archviz and is not making such claims, it was designed for 3d art and animation, as the movies released by BF prove. I am an architect but also have experience in architectural visualisation, and it took me some time and effort to get Blender work for me. Also, like everything else in the industry, all is constantly changing, making it difficult to keep up. So this is the scope of this website. As I learn and manage to do new work, and as Blender evolves, the results and bits of information I find will be posted and categorized here, hopefully to piece together a clearer image.